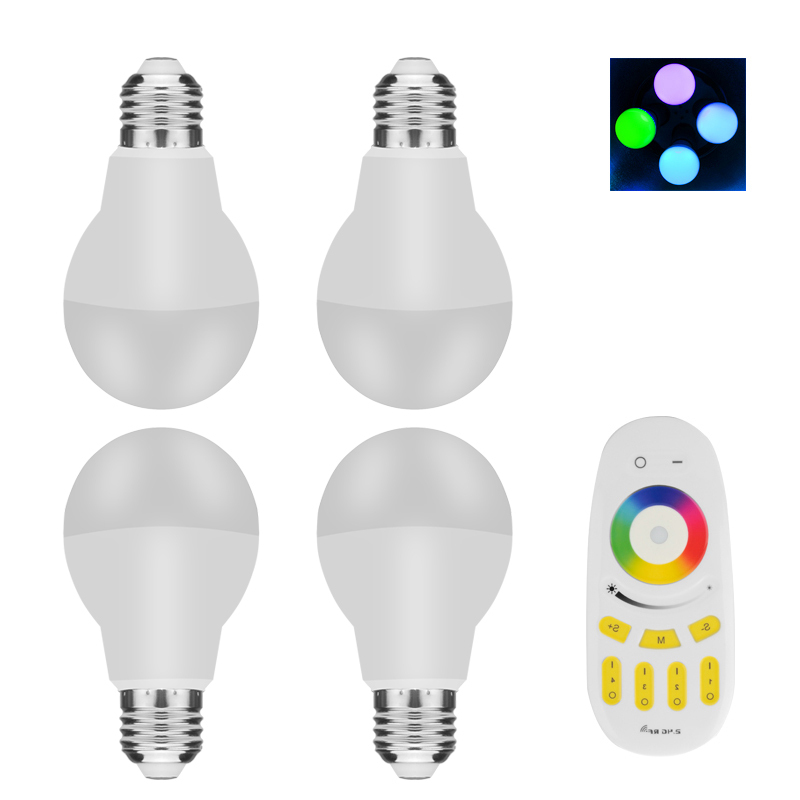 Successfully Added E27 RGBW LED Light Bulbs - 6 Watt, 500 Lumen, 256 Colors, Remote Control, Pack Of 4 to your Shopping Cart. Bring you home into the 21st century with this fantastic set of 4 LED light bulbs. Suitable for E27 light fixtures these bulbs run on just 6W of electricity and deliver 500 Lumens of light, which is about the same as a standard 45W incandescent bulb. Unlike incandescent (filament) lights that waste the majority of the electricity they use these super efficient LED bulbs don't get hot, wont present a fire hazard and better yet, will save you bucks on your electrical bills. This pack of 4 light bulbs can be controlled from one remote control (Included), they can be dimmed to cast just 20 lumens of light - making them great night lights for the kids room. Alternatively when set to full brightness will emit 500 lumens - more than enough light to read by. The RGBW LEDs allow for any of 256 colors to be displayed at a brightness of 20 to 500 lumens so you can set the perfect atmosphere in any room. With a life span of around 30,000 hours, which works out at over 40 months of continues usage, these long life LED bulbs will easily pay for themselves when compared to incandescent or other light bulbs.